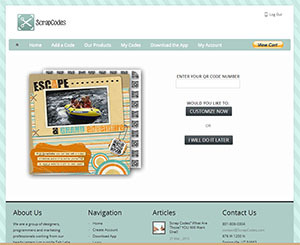 ScrapCodes are extremely easy to use! 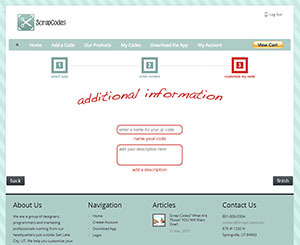 Once you have some scrapcodes, you can customize them with a computer or mobile device. Create an account and download the free app here. 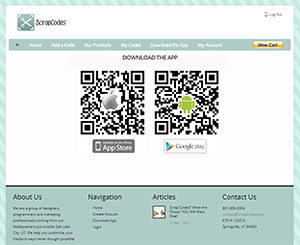 Add your code by scanning it with the app or entering the QR code ID. Choose the type of media you would like to display when your code is scanned. 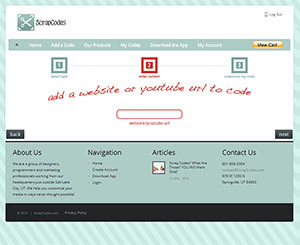 Upload video, photos, audio, text or even a website URL. Give your code a name and a description that reflects the media on the code. You're done! 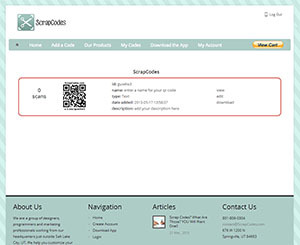 Using the app, you can edit the code at anytime to reference different media.